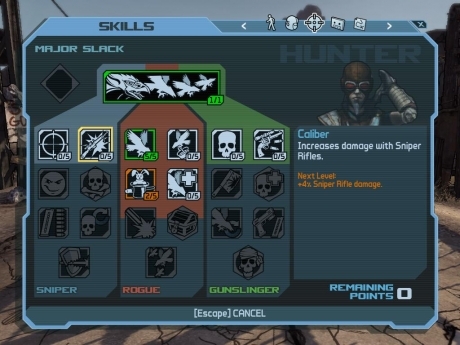 Mordecai is Borderlands' 'Hunter' class. He specialises in using Sniper Rifles and Revolvers, and is aided by his pet Bloodwing, an alien bird which resembles a hawk. 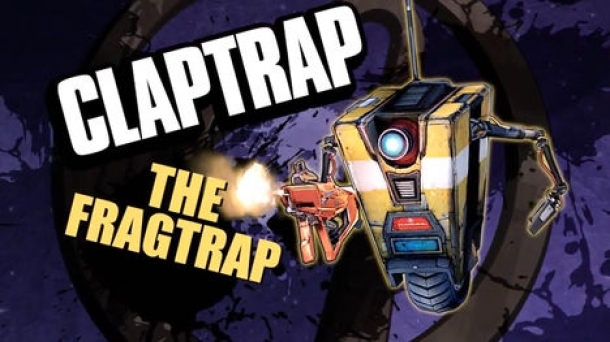 Mordecai's propensity for sharpshooting began at a young age, as demonstrated by the introduction video (see image on the left). 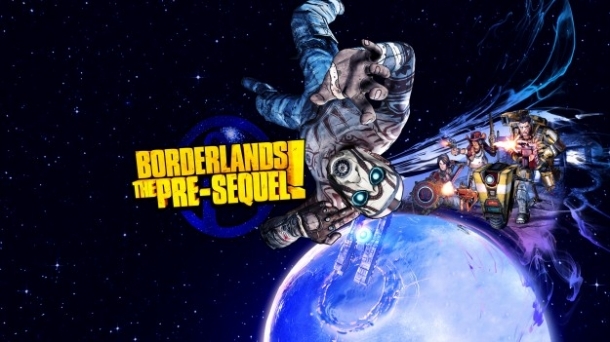 The game's manual also notes that he won an Interplanetary Sharpshooting competition with a revolver (as opposed to a sniper rifle) at the age of 17, which led to false accusations of cheating and Mordecai being banned from the competition. Mordecai's specific motives for being on Pandora are largely unknown; he simply seems to be a wanderer, travelling from planet to planet with his pet bird, Bloodwing. 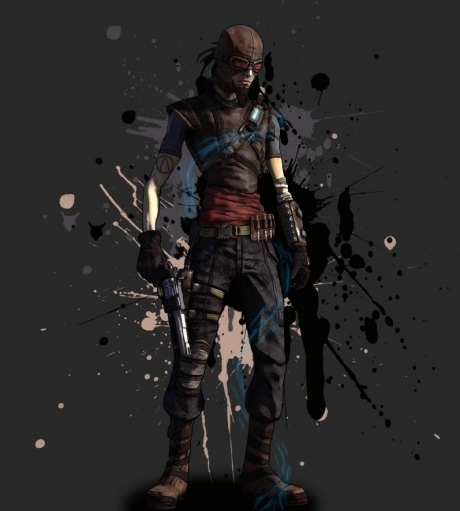 As would be expected from someone with his background, Mordecai is a sharpshooter and largely plays as such, prefering long-ranged, high-accuracy combat, which makes him ideally suited to sniper rifles and pistols. This is under-pinned by his skill set. His three skill trees are as follows: Sniper, which increases his effectiveness with sniper rifles, grants group experience bonuses and increased accuracy, and ultimately gives Mordecai a chance to ignore shields and increased bullet damage; Gunslinger, which mainly improves the effectiveness of pistols and melee attacks; and Rogue, which focuses on increasing the potency of Bloodwing, acquiring more loot, and increasing reload speed. Mordecai's 'Action Skill' allows him to call on the support of his pet alien bird, Bloodwing. Bloodwing is a deadly predator who can be relied upon to attack nearby enemies (as opposed to those a long distance away; Bloodwing's attack range is fairly limited). Bloodwing will never attack the same target twice in a row, and if called back before he attacks an enemy he can be reused immediately. - The name Mordecai may be a reference to a pet falcon named Mordecai in the movie "The Royal Tenenbaums" By Wes Anderson. - Mordecai's name may also, however, be a reference to Major Alfred Mordecai of the U.S. Ordnance Department. Major Mordecai's procurement research and decisions were a major contributing factor to US military philosophy emphasizing superior marksmanship instead of overwhelming firepower. - Most Bloodwings never take a liking to humans and tend to kill their would-be trainers, making the relationship Mordecai shares with his Bloodwing rare. - Mordecai's wanted poster in the Secret Armory of General Knoxx states that he is charged with "Possession of Endangered Species". The poster also offers an extra reward with "another million for that annoying bird".